There are currently 216 items in the Duke University Libraries,Ottoman-Turkish Literature collection. Authors: Carolyn Hoyle; Alexandra Bradford; Ross Frenett. Published: London : Institute for Strategic Dialogue, 2015. Summary: The current flow of foreigners to Syria and Iraq is remarkable not only for its scale, but also for its inclusion of many women. This report aims to provide insight into the female migrants, examining the reasons they migrate, the reality of their lives in ISIS-controlled territory, and the potential risk they pose. While there is a large online ecosystem of female ISIS supporters, this study will focus specifically on Western women who are believed to be currently residing in ISIS-controlled territory. "The second issue of the Estudios Iranios y Turanios, which was launched last year by the Sociedad de Estudios Iranios y Turanios, has been published. This issue of the journal, entitled Homenaje a Éric Pirart en su 65º aniversario, collects a number of philological discussions in honour of Éric Pirart’s 65th birthday. The ToC is here. " Language note: In Spanish or English; abstracts in English. 62 titles digitized by Centre d'Études Alexandrines (CEAlex) as of Dec. 9, 2015. Coverage dates below are approximate. Scroll down the list on CEAlex site for full details. 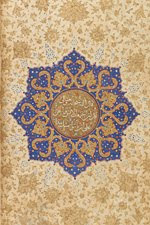 "Bibliographia Iranica is a collective effort, continuing the work that Arash Zeini started at his blog over at www.arashzeini.com. This new website and connected social media share and distribute information on recent publications and events in Iranian Studies, understanding the field in its broadest sense from antiquity through to late antiquity and the early Islamic era with occasional excursions into neighbouring disciplines, geographies and eras." 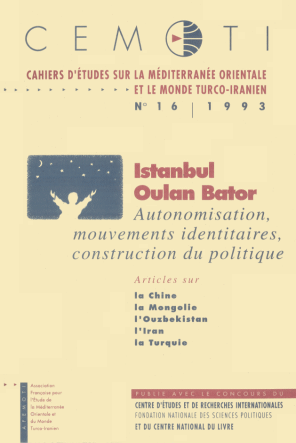 Les CEMOTI couvrent une vaste région géographique qui s’étend des Balkans et de la Méditerranée orientale à l’Asie centrale ex-soviétique et au Xinjiang en passant par le Caucase. La complexité des réalités et le fait que la publication a attiré des cercles sans cesse élargis et diversifiés de lecteurs ont impliqué un questionnement croisé, faisant appel à toutes les ressources des sciences humaines. Les sciences politiques constituant la colonne vertébrale de la revue sont étroitement associées à d’autres disciplines, notamment l’histoire contemporaine, les sciences économiques, la géographie humaine, l’anthropologie et la sociologie. Fondés en 1985, les CEMOTI, ont été édités et diffusés avec le concours du Centre d'étude et de recherche international de la Fondation nationale des sciences politiques, du Centre national de la recherche scientifique et du Centre national du livre. Depuis 2010, la nouvelle série qui paraît sous la dénomination ANATOLI est publiée par CNRS Éditions. Middle East – Topics & Arguments is a unique platform for innovative research on the Middle East combining disciplinary and interdisciplinary approaches. Articles critically reevaluate established scholarly traditions and think beyond entrenched disciplinary boundaries. By bringing together well-known academics and young scholars with international backgrounds, a broad range of perspectives will ensure lively debates. Middle East – Topics and Arguments wants to encourage interdisciplinary discussion on two levels: Firstly, between social sciences and humanities in the field of Middle Eastern studies, and secondly, between Middle Eastern studies and the systematic disciplines. We thereby aim at integrating regional academic discourse into a global setting. We hope to ensure trans-regional comparability, thus leaving behind the notion of cultural and religious exceptionalism which has for a long been connected with Middle Eastern studies. The mission to understand Prophet Muhammad and present his message to the world based on primary sources, which Meridyen Association began in 2007 with the launch of the LastProphet.info web portal, is now expanding to a new field. A peer-reviewed academic journal, Hadīth and Sīra Studies, is the next step in a line of academic activities that include “The Hadīth and Sīra Research Awards”, “Sīra Workshop” and “International Sīra Studies Symposium” conducted under the Lastprophet.info project. With the focus of gathering academic research of the Prophet Muhammad’s life to reveal universal guiding principles applicable to both Muslims and non-Muslims alike, this biannual journal seeks to make a meaningful contribution to the field of hadīth and sīra studies. Hadīth and Sīra Studies recognizes the rigorous intellectual standards set by Western academia and aims to adhere to them from its first issue as part of its long-term goal to become a leading international publication. In line with its interdisciplinary perspective, Hadīth and Sīra Studies welcomes contributions from diverse fields of research. How primary Islamic sources have been understood and interpreted throughout history shapes the way they are understood by the present generation. 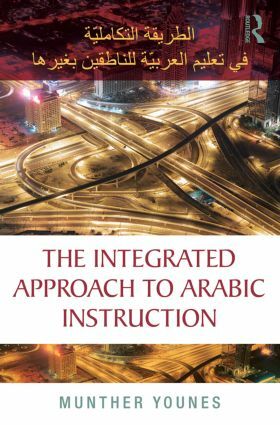 It is therefore necessary to both convey the Islamic tradition through a re-evaluation and analysis of the literature written during previous centuries, and to make it relevant to contemporary problems. The critical and philosophical ideas voiced since the 18th century in both the East and West cannot be ignored and must be engaged with by hadīth and sīra studies. 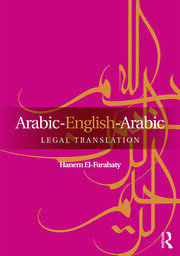 Classical Islamic texts should be reread and at the same time rediscovered in light of these intellectual developments. In tackling these significant issues, the importance of adopting both an international and interdisciplinary approach becomes clear. At this current time, Hadīth and Sīra Studies intends to publish articles in Arabic, English, German and French in addition to Turkish. We welcome your academic contributions addressing the separate or common issues of hadīth and sīra studies, as well as those connecting them to relevant disciplines, for our second issue which will be published in May 2016. Series: Islamic history and civilization, 119. Free-to-read language learning textbooks from Routledge - expire December 15th, 2015. Routledge is offering the following titles free-to-read until December 15th, 2015. Click on the 'Look Inside' icon to open the content. 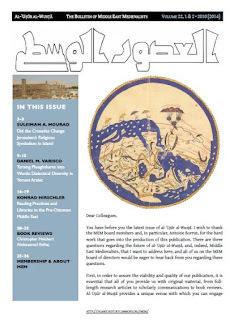 The Comparative Oriental Manuscript Studies Bulletin (ISSN 2410-0951, since 2015) has succeeded the Comparative Oriental Manuscript Studies Newsletter as the main organ of the European network in Comparative Oriental Manuscript Studies. It is a biannual peer-reviewed international journal, published on-line (under CC BY-NC-ND 4.0 license) and on paper as print-on-demand. 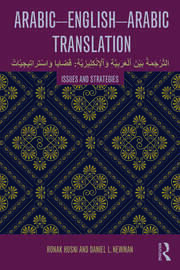 It is dedicated to the vast variety of issues concerned with the research into the oriental manuscript traditions, from instrumental analysis, to codicology and palaeography, to critical text editing, to manuscript preservation, to the application of digital tools to manuscript research. The geographical focus is the Mediterranean Near East, with its wide array of language traditions including, though not limiting to, Arabic, Armenian, Avestan, Caucasian Albanian, Christian Palestinian Aramaic, Coptic, Ethiopic, Georgian, Greek, Hebrew, Persian, Slavonic, Syriac, and Turkish. The survey reports on the 237 respondents in Arab countries, plus an additional 20 respondents in North America responding to challenges and opportunities for collaboration between libraries in Arab countries and the United States. The Middle East Library Partnership Project grew out of the Task Force on Global Dimensions of Scholarship and Research Libraries, convened by Duke University and the Center for Research Libraries (CRL) and supported by the Mellon Foundation. The latest issue of Al-‘Usur al-Wusta (VOLUME 23, ) is available here! "Cambridge University Library's collection of Islamic manuscripts dates from the origins of Arabic scholarship in Cambridge in the 1630s when the University founded a Professorship in Arabic and William Bedwell donated a Qur'an to the Library. Since that time the collection has grown in size and diversity to over 5,000 works, including the collections of Thomas Erpenius, J.L.Burckhardt, E.H.Palmer and E.G. Browne. These manuscripts shed light on many aspects of the Islamic world, its beliefs and learning..."
Our November release sees major additions to our online holdings of early Near Eastern fragments. 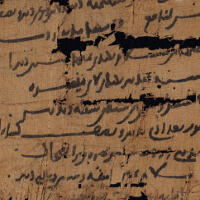 We have added over 300 Arabic papyri to our Michaelides Collection, comprising personal letters, legal texts, accounts, literary texts, recipes and other documents, the majority of which have not yet been subject to academic study. This brings to an end the first phase of a project to put the complete Michaelides Collection online. We have also added over 300 fragments from the newly conserved Lewis-Gibson collection, including L-G Arabic 1.23, an early leaf from Saadya Gaon's Book of Beliefs and Opinions. Saadya Gaon (882–942 CE) was one of the most influential Jewish thinkers of the early Middle Ages and this influence can be seen in the hundreds of copies of his writings — many from works that had been lost — that have been discovered in the Cairo Genizah. Lastly, we have added around 200 letters and legal documents from the Taylor-Schechter Genizah collection that shed light on community affairs. T-S 16.149 is a 13th-century letter sent from Alexandria to the head of the Jewish community in Cairo, explaining that their local judge had rudely and pointedly left while a visiting Iraqi preacher was in the middle of delivering a sermon. The Alexandrians wrote their letter in support of the visiting preacher and to explain that their local judge had in fact behaved badly.